With disaster scenarios of increasing interest and disaster preparedness paramount importance, it’s time to take a deeper look at what went very right before, during, and after Hurricane Katrina. Unlike the woefully unprepared civilian population, the Coast Guard was staged and ready. The unprecedented surface rescue put into action under Capt. 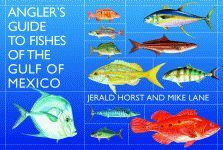 Mueller and RADM Castillo took place with little fanfare, and saved the lives of 25,000 people by boat and 8,500 by helicopter. Florida’s environment produces a breathtaking variety of plant life, and nineteen of its most famous and most fabulous gardens are featured in this coffee-table book. Hardcover. 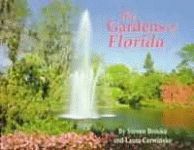 Florida’s environment produces a breathtaking variety of plant life, and nineteen of its most famous and most fabulous gardens are featured in this coffee-table book. Paperback. The many personal tragedies and triumphs come to light in this full and thrilling account that is made even more evocative and jolting by its profusion of photographs taken immediately after the disaster. In June 1957, Hurricane Audrey formed deep in the Gulf of Mexico in the Bay of Campeche, 460 miles south of Cameron Parish, Louisiana. It took direct aim at the small towns along this coast, moving due north for four days. The coastal communities of southwest Louisiana were poised to evacuate, but then something went horribly wrong, resulting in a massive death toll. It’s no secret that koalas are some of the best-loved creatures in the animal kingdom. Now for the first time, the koala’s story is portrayed in a large format with 160 striking photographs and accompanying text. As the rest of the world watched the worst of humanity emerge on television, ordinary people did extraordinary things to save the parish that found itself almost completely submerged in floodwater. Heart-wrenching stories of the human will to survive offer an inside perspective on what it means to be a survivor of Hurricane Katrina. 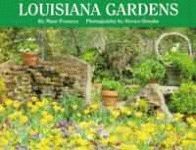 Louisiana’s traditional gardens, plantation gardens, arboretums, parks, commemorative areas, and nature preserves will awe and inspire gardeners everywhere. Among those featured are the Louisiana State Arboretum, the first state-supported arboretum in the United States, and Audubon Park and Zoological Gardens, featuring not only the handiwork of renowned landscape planner John Charles Olmsted, but also a world-class zoo that is home to more than 1,800 animals. Hardcover. Veiled behind dense drapes of Spanish moss and walls of wondrous cypress trees, Manchac Swamp is a wilderness jewel accessible only by boat. Drawn to the swamp’s mystery and eventually captivated by its peace, Sims spent fifteen years patiently penetrating its secrets. The result, trapped on film, is the many moods, flora, and fauna of this hidden world. Now, in this stunning album of her photographs, a glimpse of that world in its seasonal variations is offered to all. The sprawling marshland of the lower Mississippi has spawned one of the most interesting indigenous cultures in all America—the Cajuns. Since the eighteenth century, they have clung to their ways, including their remarkable French-based patois, their deep love of the land and water around them, their world-famous cuisine, and their enviable love of life. Paperback. Long ago, someone wrote that the rivers and bayous were the great architects of Louisiana. Certainly the statement has major elements of truth; for the waterways, which today total almost as many miles as there are miles of highways, have in eons past aided in shaping the face of the Land of Louis, and in historic times have determined many of the patterns of the State’s development. Paperback. 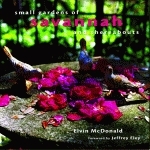 Elvin McDonald takes the reader on a tour of more than thirty of the most beautiful gardens, both public and private, of Savannah, Georgia. With an artist’s eye and an unwavering attention to detail, Lucile Parker meticulously examined several specimens of each flower in order to capture its vivacity in her magnificent watercolor paintings. In this way, Mrs. Parker was able to convey the essence of the fragile, delicate Birds-Foot Violet and the robust, color-splashed Indian Pink-even to those who have never seen the flowers themselves. In the days following Hurricane Katrina, a small parish in Louisiana known as St. Bernard, suffered some of the worst damage. The storm itself brought significant destruction, but the ensuing floods are what labeled this event one of the worst national disaster on American soil. The author, whose father and son were both members of the St. Bernard fire department during the storm, came face-to-face with the harrowing stories of the brave men and women who became heroes to so many.